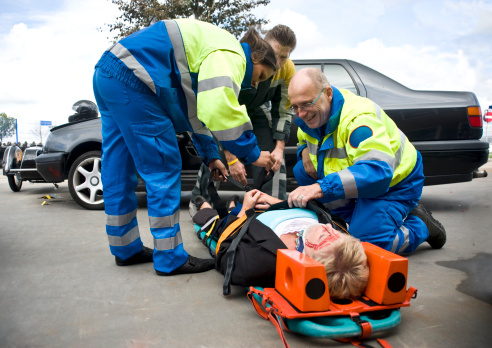 If you’ve been injured in an accident, you need all the help you can get. While seeking legal representation as soon as possible is advisable, it’s unfortunate that some injury victims pick the first attorney they speak to and later come to regret it. Before you hire a personal injury attorney, it’s important to educate yourself and find the right fit for you and your case. The following list can help you find an attorney who is right for your case. Experience: Personal injury attorney often focus on a particular type of case. Some will litigate cases, while others have rarely seen the inside of a courtroom. Look for an attorney which can speak to the type of accident you’ve had and the types of injuries you’ve suffered. Ask them if they believe you have a valid claim. Ask them if they will litigate if needed. Ask these types of questions and choose the one who best matches your needs- and who you trust. No Fees If You Don’t Recover: Most personal injury attorneys work for a contingent fee, which means that if you do not win your case or reach a settlement, you will pay no attorneys’ fees. However, you may be responsible for other expenses associated with your case. Your attorney will explain any costs you may be responsible for when you meet with him or her. Legal Team: Experienced personal injury attorneys work with a team of investigators and experts witnesses who have experience in specialized areas and will skillfully investigate and testify to the aspects of your case. An attorney should be able to readily share on this. Objectivity: A personal injury attorney must be pragmatic about your case. He or she should be resolute if you feel compelled to make a rash decision. You may be tempted, for instance, to go for a quick payout, your attorney may counsel you that it is in your best interests to wait for a more appropriate offer. Your wishes should be faithfully executed in the end, but your attorney owes your counsel when he or she believes it’s in your best interest. Experience Working With Other Lawyers: How are they’re relationships with other attorneys. Most personal injury claims are settled out of court, so they should be on good terms with opposing counsel. Experience With Insurance Companies: Insurance companies have employees dedicated to handling the early stages of a personal injury claim. Often thee mployeesyee do not have the authority to make an acceptable offer. A good personal injury can determine what is an acceptable offer and understand the processes involved. Settlements: Most personal injury claims do not end up in court. Documenting your medical expense, lost wages and/or projected future medical care needs is inparitive to winning the settlement which will cover al current and future expense related to your injuries. A quick settlement may sound good today, but leave a financial burden for the future you shoul not have to bear from a negligent injury. If you believe you were injured due to another’s negligence, call us at 919-683-9500 or contact us online today.